By this, I mean this outstanding Broadway musical, written by Lin-Manuel Miranda. Although I've been following the musical for a while (and am still waiting for that sponsor to buy me tickets to the Broadway performance), it's only come to to the broader public's attention more recently. Its performance during the Grammy Awards, for instance, spiked attention. When the Tony Awards are presented in June, it's sure to garner even more accolades. I've been listening to the soundtrack for long stretches since Christmas and have really enjoyed it. I contend that the musical could be a great help for teaching the Revolution, as I'm going to attempt this fall. I love, for instance, the sound of George III as a lounge singer decrying the loss of the colonists' love. Envisioning the issues before President Washington's Cabinet as rap battles is genius. Being able to communicate the code behind dueling is very helpful. It's worth saying the content should be used with discretion: I'll be editing some sections for language, and I think there's a misunderstanding of the dynamics of the election of 1800. Even so, there's much to use. 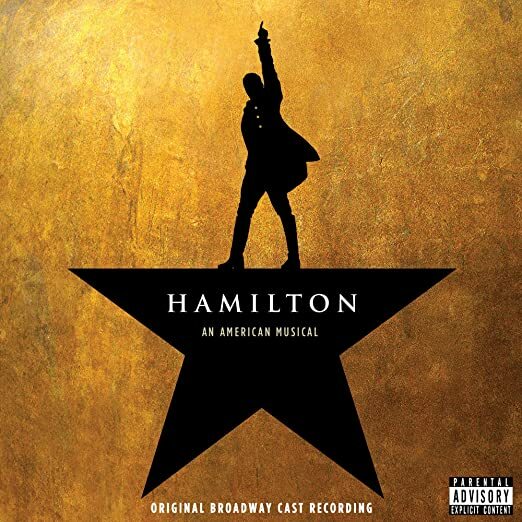 Now, I could reach to describe Hamilton's own religious belief or try to put Hamilton in the larger context of Federalist use of religion, but instead, I want to point to 4 moments within the musical itself that could profitably serve as launching points for discussing religion during the American Revolution. The first comes with an appearance by Samuel Seabury, a great example of Anglican Loyalism. Seabury, an Anglican priest in Westchester County, New York, penned an attack on the Revolution and signed it "A.W. Farmer." One of Hamilton's early publications was "The Farmer Refuted," in which he savaged Seabury's argument. Seabury would later become the first Episcopal bishop in the United States. In the musical, Seabury's theme is immediately recognizable: where other songs are distinctively modern, Seabury sings his lines to the harpsichord. Although Miranda may be suggesting that Seabury's views were backward-looking and out of place, Seabury's presence reminds us that breaking from England was a tough sell--and all the more for those who had been habituated to praying, weekly, for the King. Second, Aaron Burr's presence in the musical is a recurring motif. Miranda wants us to see him as a foil to Hamilton throughout their lives--not just for their fatal duel. Burr's advice of "Talk Less, Smile More" stands in exact contradiction to Hamilton's propensity to marshal words at every opportunity. In one solo, Burr reflects on his view of the world. In one line, he references his grandfather, Jonathan Edwards: "My grandfather was a fire and brimstone preacher." I love this juxtaposition of Edwards into a later church in America, as part of stem-winding invocation of hell and damnation. RiAH readers know that Edwards was more than just the author of "Sinners in the Hands of an Angry God," but there is a definite and inescapable legacy of the Great Awakening present here. Next, Burr claims, "But there are things that the homilies and hymns won't teach ya." This struck me as odd note--I guarantee you that Edwards never preached a "homily"--they were full-bore exegetical and theological sermons. I think I would have edited this line. Still, that sets up Burr's bleak outlook. He comments on being an orphan, holding only "a legacy to protect." Moreover, Death is looming. "Death doesn't discriminate between the sinners and the saints, it takes and it takes and it takes...We rise and we fall and we break..." Burr's bleak religiosity calls to mind the religious skepticism present in the era. Further, the musical helps give some life to Burr, who, despite the fine biography by Nancy Isenberg remains an elusive figure. Third, when Washington discusses his forthcoming retirement and his "Farewell Address" with Hamilton, he prominently quotes, "Like the Scripture says: 'Everyone shall sit under their own vine and fig tree and no on shall make them afraid.'" I loved this invocation of Washington's reference to the "Vine and Fig Tree" imagery of Micah 4:4. Not only was this one of Washington's favorite references--he also used it in his letter to the "Hebrew Congregation" of Newport, Rhode Island--but for many in the revolutionary era it was a beautiful encapsulation of liberty. This song would be a great set-up to discussing either Washington's "Farewell Address," with its concerns for "religion and morality" or for Daniel Dreisbach's outstanding 2007 article, "'The ‘Vine and Fig Tree' in George Washington's Letters: Reflections on a Biblical Motif in the Literature of the American Founding Era." Finally, the musical portrays Hamilton's deepening faith at the end of his life. In the wake of public scandal for his adultery and the death of his son in a duel, Hamilton grew increasingly serious about faith, returning to active involvement in the church. Hamilton observes, "I take the children to church on Sunday/ a sign of the cross at the door/ and I pray./ That never used to happen before." I would say this is technically not true--the very young Hamilton was eagerly devout. But, for many years it had been the case. So, Hamilton's growing involvement in the Episcopal church represented a recognition that the quest for fame and political triumph also carried great losses. Put together, these musical moments raise religious themes that were present in the American Revolutionary Era. If Hamilton the musical serves as a bridge to help students and citizens connect with a foreign place and time, it will be well worth bringing into the classroom and into public discussion. I've been telling all of my colleagues about Hamilton and I'm convinced of its value in the classroom. Thanks for highlighting this! Thanks! With caution, there are a lot of pieces that could serve really well.